Without the generous support of the following businesses, PRFM Lorain couldn’t do all the great things we’re all about! So do us a favor, check these great businesses, organizations, and individuals out and tell ’em PRFM Lorain sent you! Interested in being a Punk Rockin’ Sponsor? Check it out here! Thanks again to all of our awesome sponsors! Rock on! Blank Slate Elyria – Blank Slate is a volunteer-run, community art and music venue located in downtown Elyria, Ohio. In addition to hosting weekly music, film, and art events, our space is available to rent, at an affordable rate, to the community for such things as meetings, band practices, educational workshops. For all booking inquiries, email BlankSlateElyria@gmail.com with “Booking” plus the tentative date as the header. All public events at Blank Slate are All Ages and All Inclusive. We are a substance-free venue. Like us on Facebook! 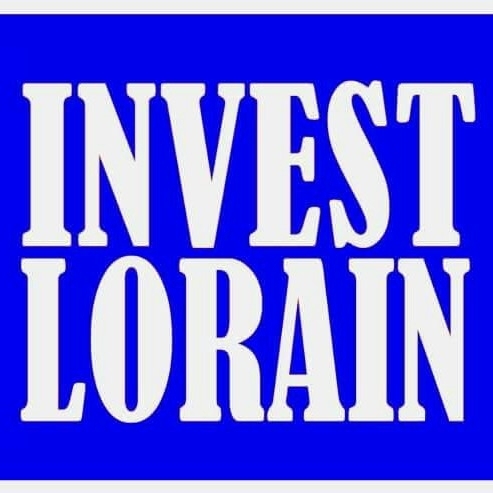 Invest Lorain – To improve the morale and communication between residents, small businesses and city officials inside the International city, Lorain, Ohio. Clark’s Roofing – We are Northeast Ohio’s premier roofing company. Established in 1990 Clark’s Roofing is family owned and operated by Tad Clark. Based in Lorain County Ohio, Clark’s Roofing is Licensed, Bonded and insured. All of our work comes with a lifetime workmanship warranty. No job is too big, or too small, Clark’s Roofing does it all! Also on Facebook! The 530 Shop, Ltd. – Established in 2002, The 530 Shop is located at 530 Broadway in the Waterfront district downtown Lorain, Ohio. Just west of the Black River and a few blocks south of Lake Erie. Specializes in Antiques, Vintage, Collectibles & Home Decor. Check them out on Facebook and follow on Twitter! Lake Breeze Video – Since 1991, Lake Breeze Video Productions has been providing full-time video production services to the Greater Cleveland area. We offer a variety of production services. Commercials, Corporate, Training, and Web-Based Videos. Weddings, Community, and Special Event production services.